Lucuma is a type of fruit native to Peru. Long used as a sweetener and a flavoring agent for foods such as ice cream, lucuma is also said to offer a variety of health benefits. Widely available in powder form, lucuma is often touted as a rich source of nutrients including beta-carotene, vitamin B3, iron, zinc, calcium, magnesium, and other vitamins and minerals. It also contains protein, antioxidants, and dietary fiber. In alternative medicine, lucuma is said to reduce inflammation, boost the immune system, lower blood pressure, and protect against some forms of cancer. 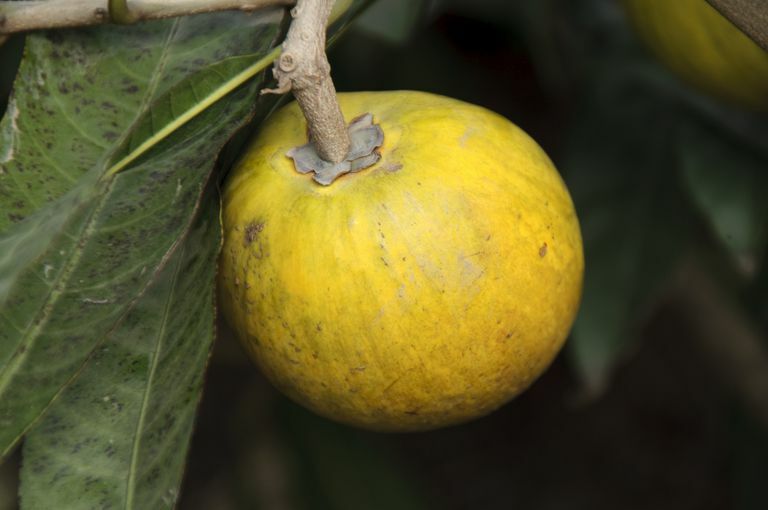 Despite its long history of use, lucuma has been tested in very few scientific studies. However, some preliminary research suggests that lucuma may offer certain health benefits. For example, a report published in the Journal of Medicinal Food in 2009 suggests that consumption of lucuma fruit may aid in the management of diabetes and high blood pressure. Analyzing a number of preliminary findings on lucuma's health effects, the report's authors determined that antioxidants found in lucuma may be of some benefit to people with these conditions. There's also some evidence that lucuma nut oil may help speed up wound healing. In an animal-based study published in the Journal of Cosmetic Dermatology in 2010, for instance, scientists determined that compounds found in lucuma nut oil helped accelerate wound closure and promote regeneration of the skin. Due to a lack of research, however, little is known about the safety of long-term or regular use of lucuma powder. Learn more about using dietary supplements safely. A number of other natural remedies may offer health effects similar to the purported benefits of lucuma. For example, garlic, hawthorn, and omega-3 fatty acids may each help keep your blood pressure in check. In addition, herbs like astragalus, echinacea, and elderberry may help stimulate your immune system and reduce the duration and severity of a cold or flu if taken as soon as you start to experience symptoms. You can also strengthen your cold and flu defense by upping your intake of immune-boosting foods. If you're seeking a natural alternative sweetener, you may also want to consider such substances as stevia and erythritol. Widely available for purchase online, lucuma powder is sold in many natural-foods stores and stores specializing in dietary supplements. Due to the limited research, it's too soon to recommend lucuma for any health condition. It's also important to note that self-treating a condition (such as high blood pressure or diabetes) with lucuma and avoiding or delaying standard care may have serious consequences. If you're considering the use of lucuma in the treatment of a condition, make sure to consult your physician. Pinto Mda S, Ranilla LG, Apostolidis E, Lajolo FM, Genovese MI, Shetty K. "Evaluation of antihyperglycemic and antihypertension potential of native Peruvian fruits using in vitro models." J Med Food. 2009 Apr;12(2):278-91. Rojo LE, Villano CM, Joseph G, Schmidt B, Shulaev V, Shuman JL, Lila MA, Raskin I. "Wound-healing properties of nut oil from Pouteria lucuma." J Cosmet Dermatol. 2010 Sep;9(3):185-95.